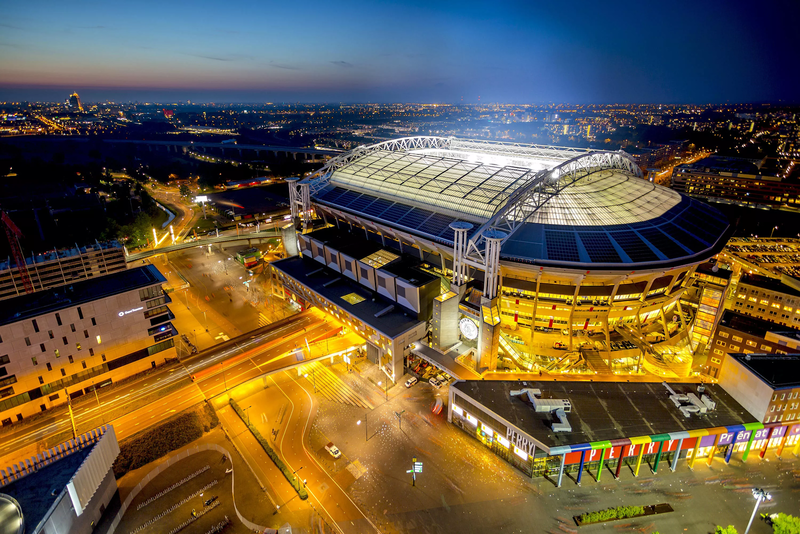 Green goals ... Amsterdam's Johan Cruijff Arena creates enough sustainable energy to support the national grid. 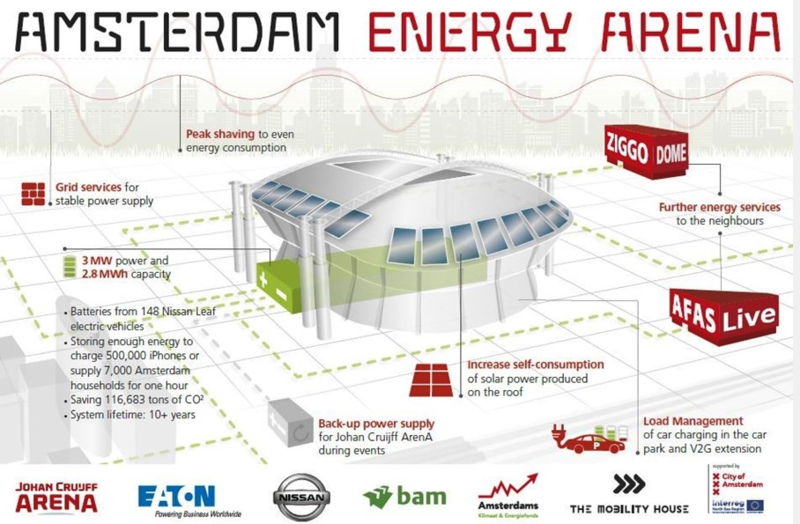 And during periods of low demand, the stadium can contribute power to the grid. Carmakers are grappling with the problem of what to do with EV batteries when they pass their peak performance. Lithium-ion batteries can continue to store electricity for years after they’re taken off the roads, and several carmakers including Nissan are working on projects to repurpose EV cells for home energy storage. Nissan says that the new system at the stadium demonstrates that second-life batteries can play a role in “making the whole energy system more efficient and sustainable”.